Veteran/Caregiver that loves interaction More than winning! Hey guys and girls, I'm the black sheep... My wife and i both served in the military and now my full time job is to take care of her. She is 90% service connected disabled and I'm her caregiver. My goal is to reach partner and be able to get her better health care than the VA can offer. And hopefully get us a house that is disability friendly. We each have a service dog. Mine is for my PTSD and anxiety, while hers is for her seizures. I started Streaming 4 years ago as a way to kill time when i was at home but now i would like to turn this into something special. Any and all support is greatly appreciated and i love to lurk in as many channels as possible on and off stream. I hope that we all become great friends and help each other grow and succeed. I love hunting, fishing, and gaming. I spend all my spare time trying to improve my stream and entertain my viewers. I put way more money into my streams and games than you could ever imagine. But i love each and every person that comes into my stream and I want you to feel welcome! I want to be able to test private betas and have people coming to my streams to check out the new games coming out! I love Call of Duty games. I am currently waiting for BO4 and having fun in Rocket League while we wait. Report The_Black_Sheep's profile for containing a lack of content. Report The_Black_Sheep's profile for containing unsafe links. Report The_Black_Sheep's profile for containing offensive content. Report The_Black_Sheep's profile for containing formatting errors. 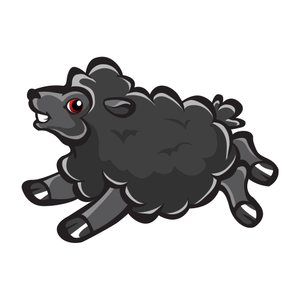 Report The_Black_Sheep's profile for containing invalid links. Report The_Black_Sheep's profile for another issue.